Recently a fellow real estate investor sent me a news article that represented the major issues with ideals about wealth building in our country. When I read the article, I knew I had to sit down and record a podcast episode on everything the writer got wrong about wealth building and planning for retirement. On this episode of Investing in Real Estate, I’ll walk you through this article, and share my commentary. I’ll talk about the major false premises that many people believe about wealth building, and how to actually plan for early retirement. 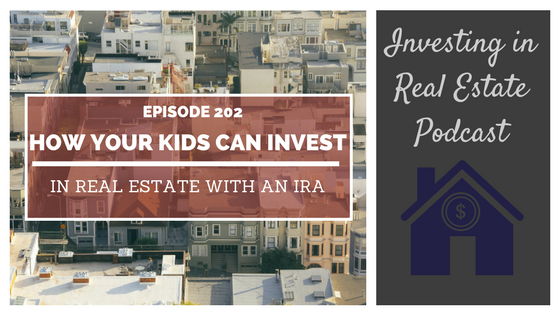 Don’t miss episode 210 of Investing in Real Estate! This particular article began with a reader question. The reader wanted to retire early, so he was asking for advice on the best method to do so. This person admitted to having several retirement accounts, but wanted to invest elsewhere to avoid early withdrawal fees. The author responded with three steps the reader should follow in order to be able to safely retire early. First, the author suggested to run the numbers and ensure that retirement savings were adequate. The article explains that a person making $100k per year should save $3.3 million. I see few scenarios in which a person could quickly scrounge up millions of dollars to save for retirement. This is flawed thinking! Secondly, the author suggested the reader choose a flexible retirement account, such as a pre-taxed roth IRA. This isn’t the worst advice I’ve ever heard, but there are much better options. Instead, a person could put their funds into a self-directed IRA and either purchase real estate, or lend private money to receive a high return on investment. Lastly, this article emphasizing the importance of investing in extra retirement vehicles like stocks and bonds. I don’t know about you, but I would rather make 10-12% return on investment with real estate investments. For most retirees, a tangible asset that produces $700 every month is much more favorable than measly returns on stocks! Do you need to save money in order to retire? What is the average 401k balance in the US? What is the difference between piles of cash and streams of cash? What is the false premise about waiting for retirement that this article reinforces? Have you ever heard the term “home bias?” On today’s show, I’m sharing the definition of home bias, as well as a concrete example. I’ll share how you can avoid this trap, and make sure your portfolio is well diversified. On this episode, I’ll talk about the overall sector weights of investments. You’ll learn why land is generally underrepresented, and why it’s common for investors to fall into home bias. Don’t miss episode 189 of Investing in Real Estate! If you have a 401k, IRA, or other stock market based investment tool, chances are that real estate is exceedingly underrepresented in your portfolio. Given the current market volatility and concerns that major economics have about the future, this is a big problem! In the MSCI All Country World Index, real estate only comprises 3.2% of total investments. And although this data is a reflection of large and mid cap investors, the same is true for individual investors. The majority of people believe that owning their primary residence is enough. But when it comes to personal wealth allocation, we’ve been told that owning your home is the American Dream. However, that's no way to build wealth. Limiting the real estate you own to just the home you live in is the equivalent to only purchasing local stocks. This is home bias! Home bias is the tendency for investors to purchase domestically, instead of diversifying globally. On today’s show, I’ll dive deeper into home bias. You’ll learn about why real estate is an incredible investment opportunity. If you want to ensure your portfolio is diversified, this episode is for you! What are the three things you need in economics to do business? What is the MSCI All Country World Index? Which category takes up the majority of investors’ portfolios? The Infinite Banking Concept allows individuals to create their own banking system using a life insurance policy. This is an excellent strategy for acquiring real estate investments, due to the ease of access to capital, and the ability to invest without restrictions. This method is not at risk to market volatility, and the payback structure is flexible. Today’s guests have built their vast real estate portfolio by using cash value whole life insurance. Jimmy Vreeland and Bob Scott have partnered together to build a portfolio of over 120 investment properties. Jimmy and Bob are here to share their experience with purchasing real estate from insurance policies, and why they structure their real estate business around lease options. Don’t miss this episode of Investing in Real Estate! When Jimmy Vreeland and Bob Scott heard M.C. Laubscher discuss the Infinite Banking Concept, their interest piqued. The pair reached out to M.C. and picked his brain about how to get involved with cash value whole life insurance. Using cash value whole life insurance as a personal bank gives the consumer direct access to liquidity. The funds in the account are not at risk to the banking system or market volatility. Additionally, all funds in the account can be accessed quickly. Another benefit to this strategy is that the pay back terms can be scheduled in a myriad of ways. The policyholder is in complete control. The funds can be paid back monthly, quarterly, annually, or even deferred until death! Jimmy and Bob posit that using this strategy has completely changed their investing journey. Now, they own over 120 investment properties together in St. Louis. All of their properties are lease option houses, which mitigates their liability of rehabs, and helps them find individuals who are more qualified than a traditional tenant. On today’s show, Jimmy and Bob are sharing more details about their investing strategy. We’ll talk about how they structure their deals, and why more people don’t use cash value whole life insurance to buy real estate. 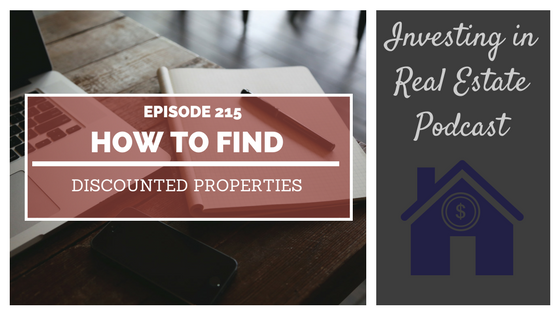 It’s all here on episode 182 of Investing in Real Estate! How much of your insurance policy can you access? How long does it take to access capital? Are their restrictions to what the funds can be used for? What are the benefits to offering lease options?